Composer Anthony Willis has taken a running leap into the Neverland of film scoring. A protege of Oscar nominated composer John Powell, Willis has become a sought after talent, contributing additional music to many of Hollywood’s major franchises including: How to Train Your Dragon, Solo: A Star Wars Story, Pirates of the Caribbean, Jason Bourne, Wreck It Ralph, Rio, The Smurfs and Despicable Me. As lead composer, Anthony’s credits include Sony Playstation’s action-platformer video game Knack II, Michelle Morgan’s ‘Sundance Selection’ comedy: It Happened in L.A., David Yarovesky’s thriller, The Hive, where he collaborated with renowned DJ Steve Aoki, and Anthony Sabet’s nostalgic comedy One Last Night. Up and coming projects include Universal’s Silent movie comedy What Happened to Jones, and Amin Matalqa’s heartfelt Arabian animation Hump. 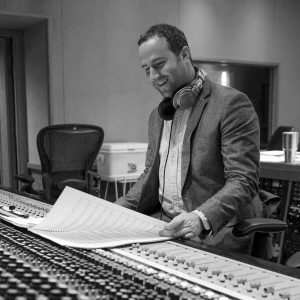 Working alongside Henry Jackman, Anthony composed additional music for Nate Parker’s 2016 Sundance winner, The Birth of a Nation, and contributed additional arrangements to Harry Gregson-Williams’ acclaimed score for The Martian. His additional music credits also include Pan & Ferdinand (for John Powell), The Elephant Queen (for Alex Heffes), Paramount’s sci-fi adventure film Monster Trucks (for David Sardy), and Papa: Hemingway in Cuba (for Mark Isham). Up and coming projects also include additional music for Wreck it Ralph 2: Ralph Breaks the Internet (Henry Jackman) and How to Train Your Dragon 3 (John Powell). Willis grew up in London, and began his musical training as a chorister of St. George’s Chapel, Windsor Castle, England. He went on to study Composition at Marlborough College, Wilshire and the University of Bristol, before earning his graduate degree from the University of Southern California. He currently resides in Venice Beach.